Ometepe has more than 1700 recorded petroglyphs and is famous for its pre-Columbian history and is renown as one of the most significant rock art areas in the world. There has also been thousands of clay artifacts dug up on the island, and some of those can be found here! 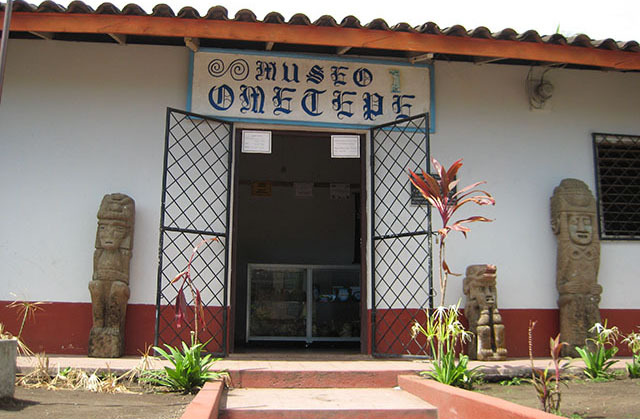 Ometepe Archaeological Museum is located from the municipal park of Altagracia, 50 mts to the West. This museum was founded in 1994, thanks to the interest of the promoter association of Ometepe’s museum and culture and the Foundation Entre Volcanoes supported by DANIDA and the Nicaraguan Institute of culture. This has 4 exhibition rooms: the environment room, ethnology room, the history room and the patio and corridor of the museum.